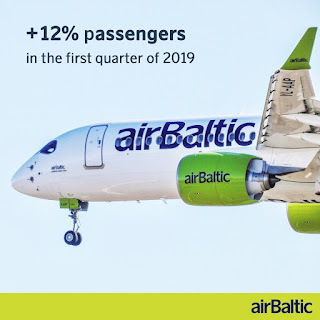 Latvian airline airBaltic during the first three months of 2019 has transported 818 129 passengers or 12% more than last year to its network spanning Europe, Scandinavia, Russia, CIS and the Middle East. 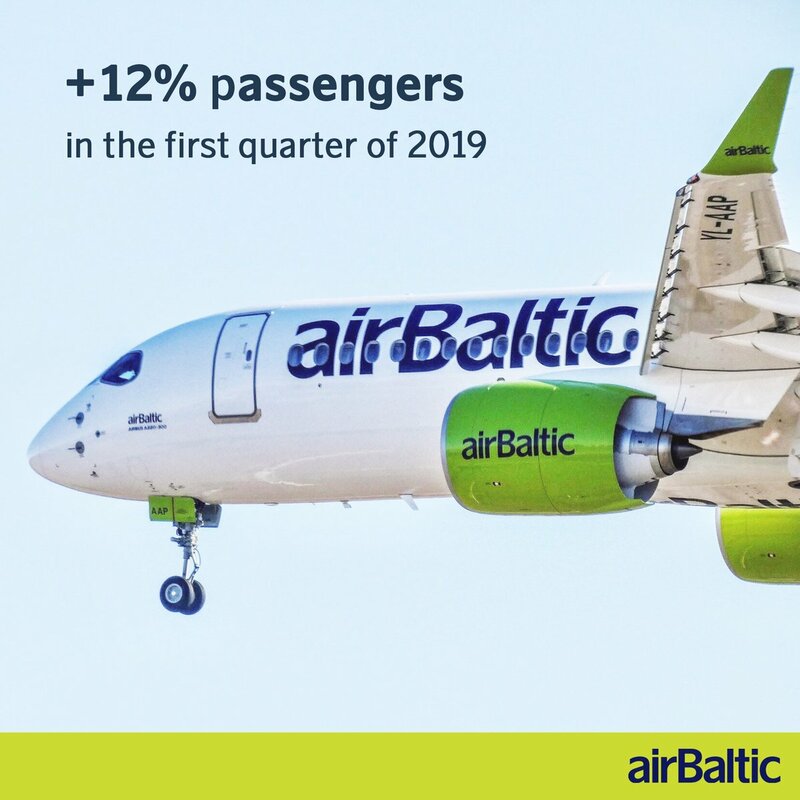 During the first quarter of 2019, airBaltic has operated 12 740 flights or 10% more than last year. The 15-minute flight punctuality indicator for airBaltic during the first three months of 2019 reached a level of 89.9%. This means that more than 89 out of every 100 airBaltic flights departed at the planned time or with a delay of no more than 15 minutes. airBaltic serves over 70 destinations from Riga, Tallinn and Vilnius, offering the largest variety of destinations and convenient connections via Riga to its network spanning Europe, Scandinavia, the CIS and the Middle East. airBaltic has launched new destinations from Riga to Dublin, Stuttgart and Lviv, as well as will launch flights to Kos and Menorca in May. The airline is 80% owned by the Latvian state, while Lars Thuesen owns around 20% through his fully-owned Aircraft Leasing 1 SIA. The airBaltic fleet consists of 36 aircraft – 16 Airbus A220-300s, 8 Boeing 737s and 12 Bombardier Q400Next Gen aircraft. The airline recently announced increases in its schedule to Iceland as well as inaugurating services to Dublin, Ireland, Stuggart in Germany and Lviv, Ukraine.